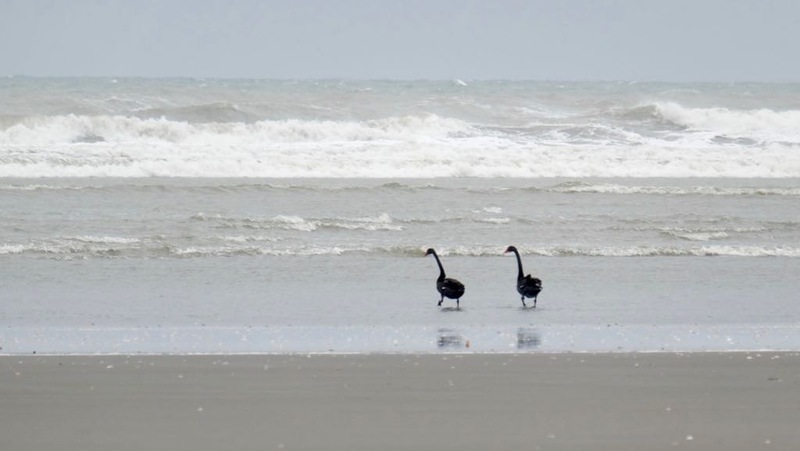 This Black Swan pair was at the beach today. A passing vehicle startled them moments later. 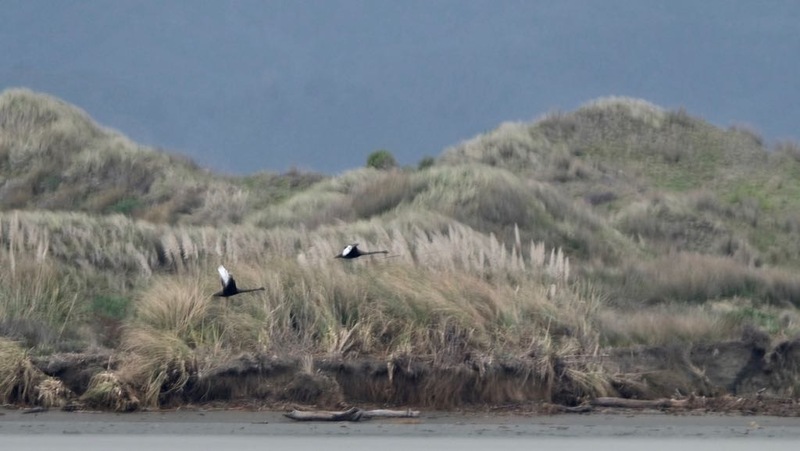 What amazes me is how straight they hold their necks while flying.